It never ceases to amaze me how many cool and interesting ways there are to make money online. Did you know that making money can be as simple as answering someone else’s questions online? Yes, it’s true. You can actually get paid to answer questions through some top answer and question sites. These websites pay people like you for answering common questions on various topics. If you have knowledge in a certain field, these sites will pay you to answer questions via text message, live chat or email, depending on the site. JustAnswer is a great place to start if you have a specific expertise. This website lets people post many different kinds of questions and receive answers from doctors, lawyers, nurses, mechanics, electricians, plumbers, writers, finance experts etc. There are more than 175 categories to choose from. When applying to become an Expert on JustAnswer, make sure you fit in one of these lists of categories. You will need to verify your credentials for your area(s) of expertise (requirements vary by category) before you can start earning money for answering questions in your chosen category or categories. Once you sign up to JustAnswer website to become an expert, you will be able to answer users’ questions right away. If your answer is accepted, the site pays 20% of the user’s payment for the answer. Users post questions with a price per question they are willing to pay for the answers. Now you may be wondering, why would people pay to get their questions answered when they can probably just find the answer online for free elsewhere? JustAnswer is unique because the site allows you to set up a ‘virtual appointment’ with a particular expert and ask them your question along with several follow up questions so you can get a better understanding of your situation, solve any issues you’re experiencing, etc. As an expert, you can work when you want and from wherever you want. By becoming an expert on JustAnswer, you can make money doing what you love while helping people and making their lives easier. You get paid via PayPal on the first business day of every month if you meet the minimum payout threshold $25 You will also earn $50 Amazon gift card for each referral. Ether is a site that allows you to make money by selling your knowledge to others via phone or through email. Once you sign up to the site, you will get your Ether phone number 1-888-My Ether (a 8-digit extension that is unique to you). Then, set it to forward calls to your actual phone number that could be your cell, home, and work number. It takes 2 minutes to set it up and it is free to get your Ether phone number. Next, you will need to set your rate per minute/hour/call. You can set the hours just when you want to take calls. Your phone only rings when people have prepaid your rate. Ether takes 15% commission off your earnings, and you can have your earnings sent to via Direct Deposit or you can request Either to send you a check. Studypool is a great place for freelancers to find work online. This site lets you make money by answering student homework questions and assignments from home. If you have skills and expertise in a particular academic subject, then you can tutor at Studypool. Once you sign up, simply start browsing student home questions, provide answers and get paid. There are over 30 subjects to choose from. Studypool is a reputable site used by thousands of students and freelancers everyday to find and post work. You have full freedom to choose when you want to work and where you want to work from as long as your work is delivered on time. Simply browse student homework questions and then provide a quality answer to the student homework question. Once the student needs are meet, you will get paid the sum agreed upon. You set you own price and deadlines. You must either possess a degree in higher education, or be a college or university student if you want to work for Studypool. You must have a PayPal account to receive payments for your work. PrestoExperts is another site you can use to earn money answering questions in categories like technology, health, counseling, academic subjects, design, business, social media, shopping, legal and more. Once you sign up as a freelance expert to the site for the category that fits your knowledge and experience best, you will be required to create your profile. You will list your qualifications, education, specialties and any other information you would like your potential clients to know on your profile. You will need to upload a photo, so potential clients can get to know you. Once your profile is created and completed, then your online profile will appear in the list of available Experts on the site. People looking for help can find you by your specialty or keyword. You can engage with thousands of new clients via online chat, email or phone. You will have to indicate how you want to connect with new clients. You have the flexibility to work on your own time and at your own pace. You can set your own fees for work you accept from the clients. The key is to providing good service so you can learn high ratings from your clients. On Experts 123 people ask questions on a wide range of topics on this site. You will search for questions people ask on topic(s) you have good knowledge in and then share your own expert answers and articles with them. You can choose from an ever-growing number of topics to write answers and articles on, depending your area(s) of expertise. You can also link to your own blog or website while sharing your expertise. Once you sign up as an expert, you can share your knowledge with people looking for answers to their questions on a wide range of topics. It is understood from the site that contributors will earn via a revenue-sharing program. The more questions you answer and the more articles you write, the more traffic you will get to your answers and articles. If you establish yourself as an expert with your writing skills and knowledge, you can qualify for per-post rates. 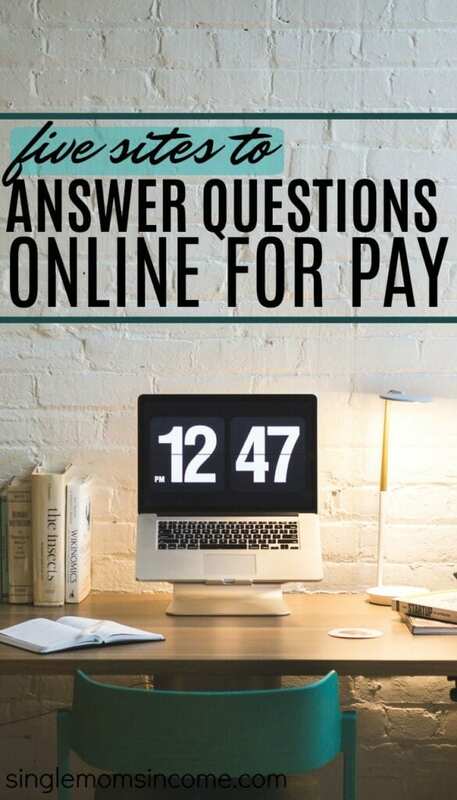 How Much Money Can I Make for Answering Questions Online? Your earning potential depends heavily on how many questions you answer, the area(s) of your expertise, and the rate you set if you’re signed up on a site that allows you to choose your rate. There is no limit to how much money you can earn on these sites but with that being said, you will be limited to the amount of traffic the site gets including how many people ask questions in your category or schedule an appointment with you. 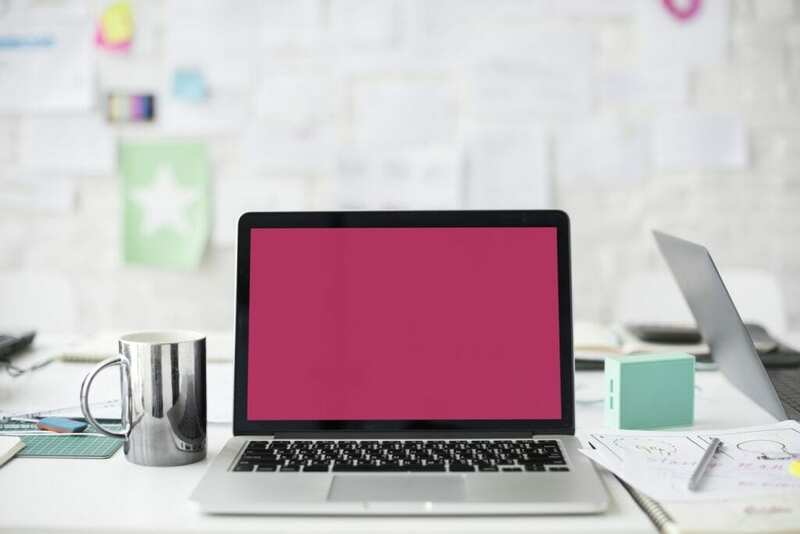 Answering questions online certainly won’t make you rich or take the place of your day job, but it’s a flexible way to earn extra money during your spare time. If you’re looking for an easy and low-effort way to make money on the side, consider answering questions on a few of these sites. If you consider yourself knowledgeable in any particular field and have good online research skills,you could set a goal to answer a few questions per day/week and see how much you earn after a month. this sounds dumb. legit question; how can i hone in on what i actually know? i need direction in finding my true skills/knowledge base. i am a good researcher. that, i do know. Nice. I need extra income. Hope everything will work here in the Philippines. You can find even more websites that pay you to do freelance work online like Freelancer.com and Upwork.com. If you have the skills you can always get hired by potential clients anywhere. I have just visited just answer and they ask me for Heavy diploma and years of experience which obviously i dn’t have so what should i do? Is there any site where… No or less documents needed to become an expert. how do i answer the questions online?? How am I going to receive the money and how do I answer the questions??? Where do the “justanswer” get money to pay their members whereas no specific products are marketing. It beats my imagination. In this world money is not for free. You have to pay to get an answer on JustAnswer. I am from west africa and an unemployed professional and want to make quick cash online by using my mobile phone.how does that work for me? I’m really not sure. This is a US based site so I don’t have details on how these work in other countries. Sorry and best of luck! Use the links provided in the article to visit whichever site you’re interested in.